Just when everybody thought things were going smoothly for the UFC, Khabib’s team drops a bombshell. After choking out Conor McGregor in the fourth round, Khabib attacked Conor’s teammate Dillon Danis and Khabib’s teammates were seen attacking Conor. The melee broke out into the stands after the fight and three members of Khabib‘s team were arrested. A few hours after the fight, Conor broke his silence on Twitter and said that it was a good fight and he is looking forward to a rematch. He also posted a picture on Instagram saying that he’ll be back. UFC 229 was a great event with some really great fights. 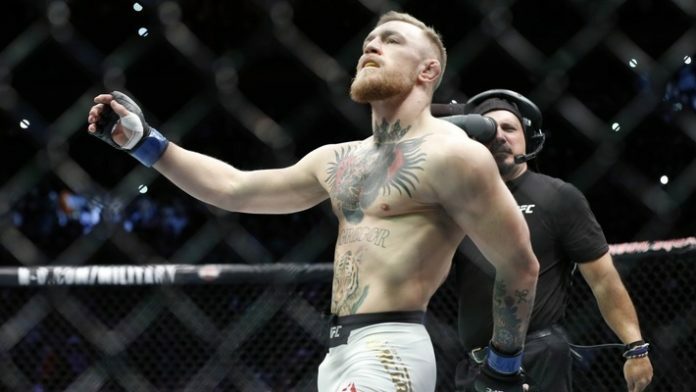 In the main event between Khabib and Conor, Khabib dominated the fight with his superior grappling taking Conor McGregor down at every chance he got. The main thing that was interesting about the fight was Khabib’s standup. There was a moment in the fight in which he hit Conor with a clean right hand, knocking him down. In the third round, Conor came back with a few good shots but none of them seemed to hurt Khabib that much. In the end, Khabib’s grappling proved to be too much for Conor and he was submitted with a neck crank. Who would win in a rematch, Khabib or Conor?